Global water stress is on the rise due to increasing demands from agriculture, energy, and population growth. In light of this, water availability has become a key priority for many countries, and as governments and industry players struggle to balance economic and business growth with the protection and development of their water resources, more attention than ever is now given to the work of professional water solutions providers. Veolia Water Technologies—a global environmental company that specialises in water treatment solutions—has been working with manufacturers and municipal agencies all over the world to maximise their sustainability goals. Recognising Veolia’s expertise in empowering manufacturers to grow sustainably, Nestlé appointed the company to design and build an effluent treatment plant (ETP) in its plant in Qingdao, China, to meet its water reuse and recycling needs. In recent years, Nestlé had stepped up efforts to reduce its environmental footprint through better water and wastewater management—aiming to reduce direct water withdrawals for all product categories by 35 percent over a period of 10 years. In line with the global initiative, the Nestlé team at the Qingdao plant launched a strategic roadmap for water saving, with the aim of reducing the plant’s water withdrawal volume by reusing 925 m3 of treated water each day from 2021 onwards. Established in 1994, the Nestlé Qingdao plant is one of Nestlé’s main dairy production sites in China. In 2016, the plant expanded its facilities to include coffee production capabilities. After considering various options, the Nestlé team at the Qingdao plant decided to recover the Condensate of Whey Water (also known as COW Water) generated by milk production, and reclaim secondary effluent from Nestlé’s existing treatment plants. The installation of wastewater plants at food and beverage facilities can be a challenging feat, as seemingly inconsequential factors—such as fluctuations in raw material supply, changes in production volume, and available floor area—can affect the final design and combination of technologies for the treatment plant. Apart from meeting the national standards for effluent discharge, Nestlé had set an even higher internal requirement. The manufacturer was determined to keep its commitment on its sustainability targets and discharge quality levels, even while it grows its production capabilities. At times, the plant in Qingdao receives more fresh milk than it was designed to process. This made it important for plant to be well-equipped to handle the additional supply and fluctuations in production requirements. As a result, Nestlé also wanted to be able to maximise wastewater flow for both existing and projected flow requirements in the near future. To address this, Veolia designed the COW Water reuse system such that it could handle volumes of up to 430 m3/day. The Veolia team decided to optimise Nestlé’s existing Reverse Osmosis Polisher (ROP) system by installing a pre-treatment system to maximise the operations of the wastewater treatment facilities. COW Water generated by milk production first enters the BiopROtector to reduce the amount of organics and bacteria in the effluent. A key technology for producing high quality process water from evaporated condensates, the BiopROtector prevents biofouling in downstream membrane units. It also converts very small organic molecules into gases and microorganisms. Veolia also installed an ultrafiltration (UF) technology in the ROP, which separates small organic molecules and microorganisms. The UF technology ensures the recovery of high quality water according to Nestlé’s stipulated requirements. As the last treatment stage, the effluent then goes through a disinfection process. Once processed, COW Water can be reused in various parts of the plant, including boilers and cooling towers. The condensate is also a good source of heat energy, as the already hot water requires less energy to reheat, and can easily be used as boiler feed water, or to pre-heat products. 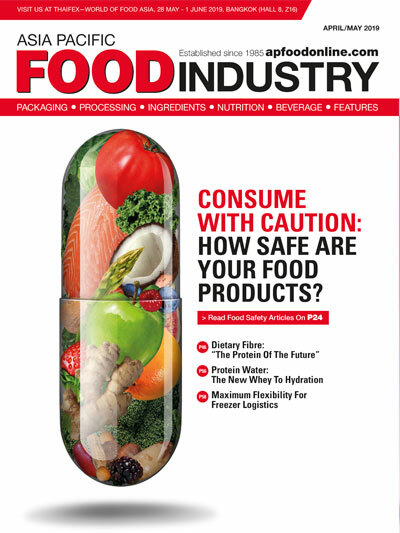 High levels of chemical oxygen demand (COD) in wastewater is one of the largest concerns facing food and beverage manufacturers, as it indicates that the level of organic pollutants is too high. This was a challenge faced by the Nestlé plant in Qingdao. 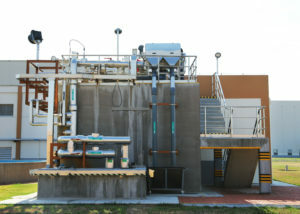 The effluent first enters the Membrane Bio-Reactor (MBR), which is designed to handle a flow of 1,300 m3 a day. The MBR combines biological-activated sludge process and membrane filtration processes, such as microfiltration or ultrafiltration, to reduce COD content. The wastewater then undergoes an intermediate disinfection by a UV lamp, and enters the Reverse Osmosis (RO) system that processes 600 m3 of water a day. The RO will eliminate any remaining dissolved, non-biodegradable components like salts and other solids with a semi-permeable membrane. Finally, chemical biocide is used to disinfect the effluent. At present, the Nestlé plant in Qingdao is well on its way to fulfilling its water-saving roadmap. 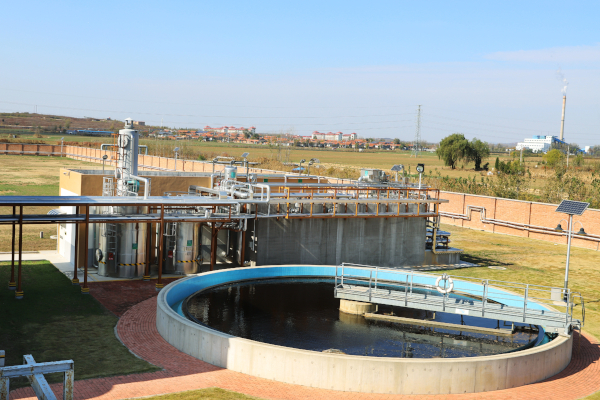 The plant is currently reusing 750 m3 of treated wastewater a day for utilities and production.